Anna is on a talk show to tell us about her new career move - acting as a tree in the movies. She looks back at the chances she took in the past year and plans for the future. Will she stay in Hollywood or come back to live in Washington, D.C.? In this lesson, Anna looks back on how she has learned by taking chances over the past year in Washington, D.C. Have you ever taken chances to learn something new or to meet your goal? Tell us about a chance you took and how it helped you to learn or do something important to you . Write to us by email or in the Comments section. Click on the image below to download the Activity Sheet to practice phrasal verbs and evaluating. Please note, our activity sheets now can be completed on the computer. The learning strategy for this lesson is Evaluate. We use this strategy when we look back at how we have learned and look forward to how we can learn more. In learning a language, we can evaluate how well we are learning and also evaluate how we are using strategies to learn. When we think about which strategies helped us, we know that we should use those strategies again. In this lesson, Anna looks back at how she took chances in learning to do her job and to live in a big city. She is also looking forward to her new career as an actor. She is taking a chance to go to Hollywood and be in the movies. Look back at how you have been learning English. What helped you the most?Now look forward. What will help you in the future? Are you taking chances to practice in lots of ways? Write to us in the Comments section or send us an email. Teachers, see the Lesson Plan for more details on teaching this strategy. 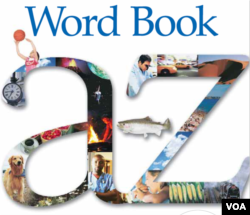 ​Have you been studying with "Let's Learn English" through the past year? We are happy that you have visited regularly to study English with us. As a thank-you, we offer this certificate of achievement. Download it and add your own name. 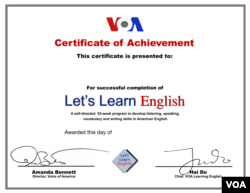 Record a short video of yourself speaking English while you are holding the certificate. 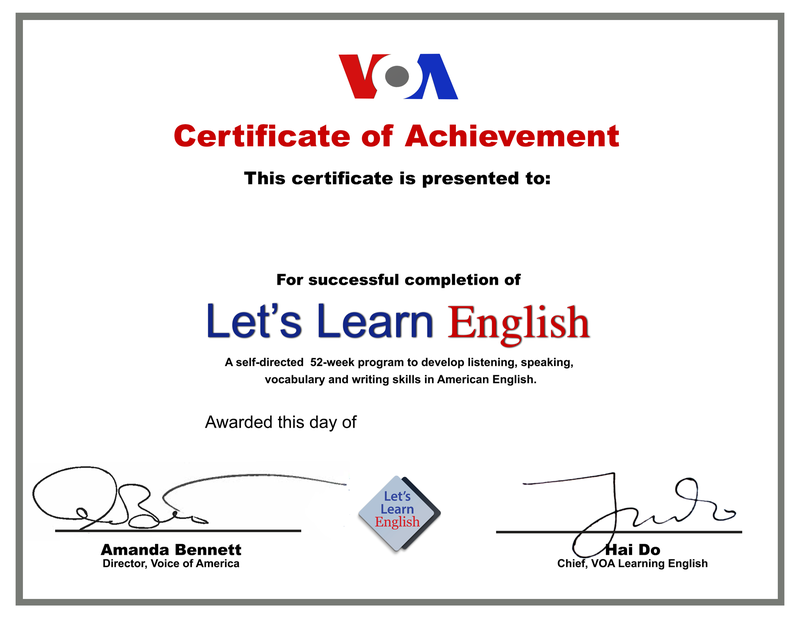 Then share it with us and other English learners around the world on the VOA Learning English Facebook page. Keep visiting us to review Let's Learn English, and look for the next English course, which is coming in Fall 2017. Each Let's Learn English lesson has an Activity Sheet for extra practice on your own or in the classroom. In this lesson, you can use it to practice using phrasal verbs and evaluating. Speaking and Pronunciation: Blended form of "sit down"